We are all busy. We might face different challenges, such as stressful jobs, lots of tough classes at school, kids and their sports schedules, and much more. Clearly these obligations could keep us from exercising if we don’t find time to exercise and make activity a priority in our lives. Exercise is critically important to our health. The Physical Activity Guidelines stress that adults should get at least 150 minutes per week of moderate- to vigorous-intensity physical activity. The benefits of this level of activity include an increased life expectancy, better cardiovascular health, improved mental health, and better sleep. Here are just a few ideas to squeeze exercise into your busy day. Nielsen estimates that the average American watches about five hours of television each day. Watching television this much harms our health due to all the time sitting, but it is also time that could be spent lifting weights, jogging, or playing sports. Limit the amount of time you spend working online, engaging in social media, checking email, and texting. This recommendation is analogous to limiting screen time for children and adolescents. You don’t have to limit these activities altogether, but try to limit them to short periods of time once or twice a day. Go for a bike ride together. Play tag in the yard. 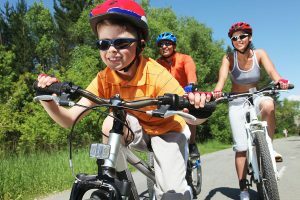 Not only can you and you children get much needed physical activity, but this is quality time to spend together that will only build your family bonds. Find ways to exercise at work. Since we spend over one third of our time working, we must get physical activity in those hours. Take the stairs instead of the elevator, walk to visit your colleagues instead of emailing them, and use dumbbells or kettle bells at your desk are just a few of the ideas to add exercise to your work day. Vary the types of exercise to maintain interest. If you do the same exercise day after day with no variety, it quickly becomes boring. If that form of exercise creates monotony, you might be less motivated to squeeze it in everyday. 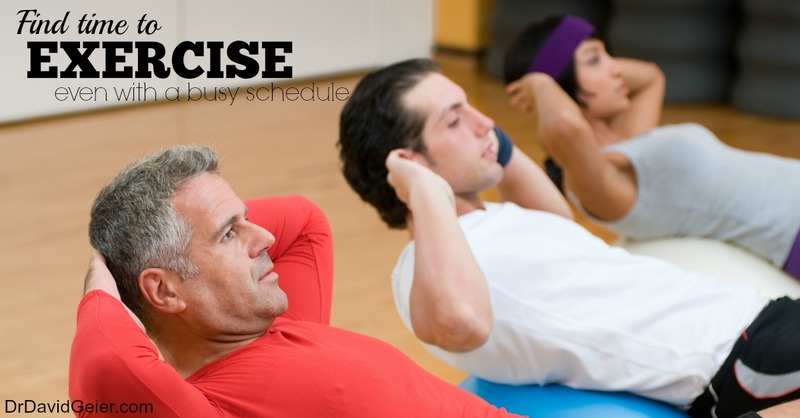 Instead, vary your types of exercise to find those activities that you enjoy and work well for your body. You might be more likely to find time to exercise every day. How likely is it to tear the ACL graft or the opposite knee’s ACL? How can you find time to exercise?